The “Non ho l’età” antiques, collectibles and vintage market takes place every second Sunday of the month between September and June. Stallholders will welcome you from 8.30 am to 6 pm and from 8.30 am to 5 pm in winter months. The stalls wind their way through the wonderful squares and streets of the city centre. A map is available online and brochures with a map of the market and listing related events will be handed out at the Info Points in piazza dei Signori and Piazza Castello. A visit to the market is also an occasion to enjoy an “antiquarian brunch” in partner cafés, discover unexpected angles, visit exhibitions and museums, stroll along the streets and wander around the shops. Organise your visit using the links below or get in touch (visit the “Contact us” page for details) – we are always pleased to help. A map indicating car parks offering daily rates is available on this page, please verify the opening times. 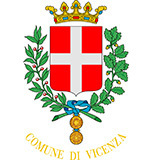 Free parking on Sundays is available in: Borgo Casale, Contrà Corpus Domini, Contrà Mure della Rocchetta, Contrà Mure San Rocco, Contrà San Marco (zone B, sector 2), Teatro Comunale car park, Viale D’Alviano car park near Porta San Bortolo, Via Battaglione Framarin, Via Europa and Viale Stadio. Information refers to the website publication date (August 2016). For updates, please visit the AIM Mobilità website at www.aimmobilita.it/it/mobilita/auto. In addition, on market days, two information points will be available to visitors and stallholders in piazza dei Signori and piazza Castello.